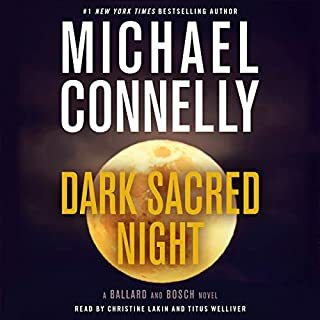 Enjoyed hearing two people reading the parts of books, now that you see Titus Weaver playing Bosch on the series and hearing him on audio is a great concept. This is by far one of the best told stories of the 70’s NY mob. I’ve listened to dozens of books thru the years, I enjoyed the narration. Well worth the purchase. 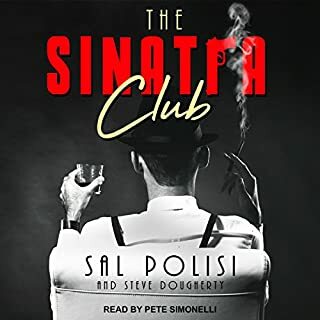 Best Audiobook to Listen to More than Once !! I have listened to this Audiobook at least once a year. Of the hundreds of books I have to listen to, I always seem to listen to this book the most. 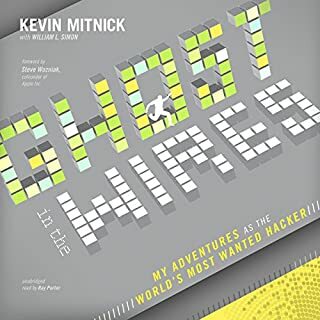 Kevin Mitnick is a Great narrator of his own words and I do not get tired of hearing him speak, after listening to all of hundreds of books I've purchased over the last 20 years that is a great compliment. This book will keep you listening and wondering will this guy ever learn? It's like a train wreak , you know is going to happen but you can not turn away! There are a couple of parts in the book that Kevin gives out the code applications he used and this might bore some listeners, but it's not a lot, since I don't understand it, the first time it made me think I was going to listen to a technical manual, it is just in spurts and for some it might be the highlights of the book and gives him credibility. I believe Mr. Mitnick should thank goodness that his poor mother and grandmother did not just do what the FBI and other agencies wanted to do and just Shoot him. But thankfully they didn't because a great book has come from these exploits. Just purchase the book and enjoy ! !